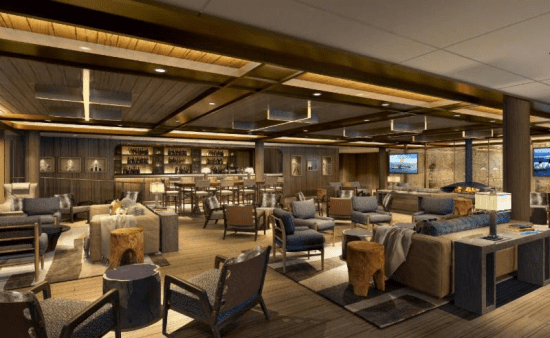 SEATTLE, April 9, 2019 – Seabourn, the world’s finest ultra-luxury cruise line, has given travelers their first glimpse of select public spaces on its two new ultra-luxury purpose-built expedition ships set to launch in June 2021 and May 2022, respectively. The work of design icon Adam D. Tihany, the Expedition Lounge, Discovery Center, Landing Zone, and Atrium are masterfully designed spaces that will act as the communal hub on Seabourn Venture and another yet-to-be-named sister ship. For this latest project with Seabourn, Tihany will develop the design vision for areas including multiple expedition spaces and lounges; all categories of luxurious guest suites; multiple dining venues; Spa & Wellness with Dr. Andrew Weil; outdoor deck areas; and the innovative and popular Seabourn Square multi-purpose space. Tihany’s Product Design arm is designing a bespoke furniture collection for the expedition ships. Additional renderings of these spaces can be found in the link here.